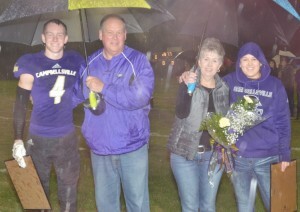 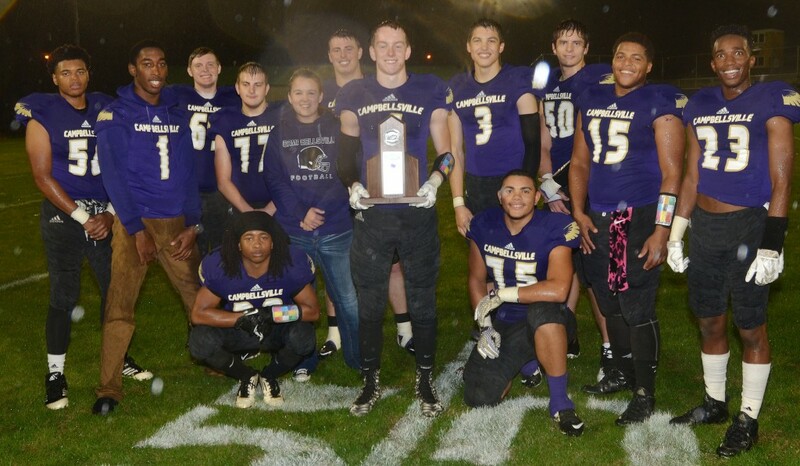 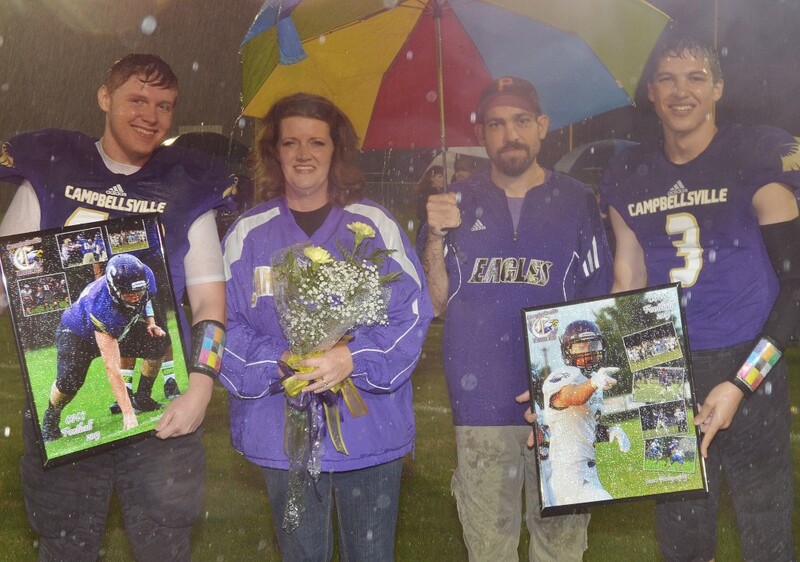 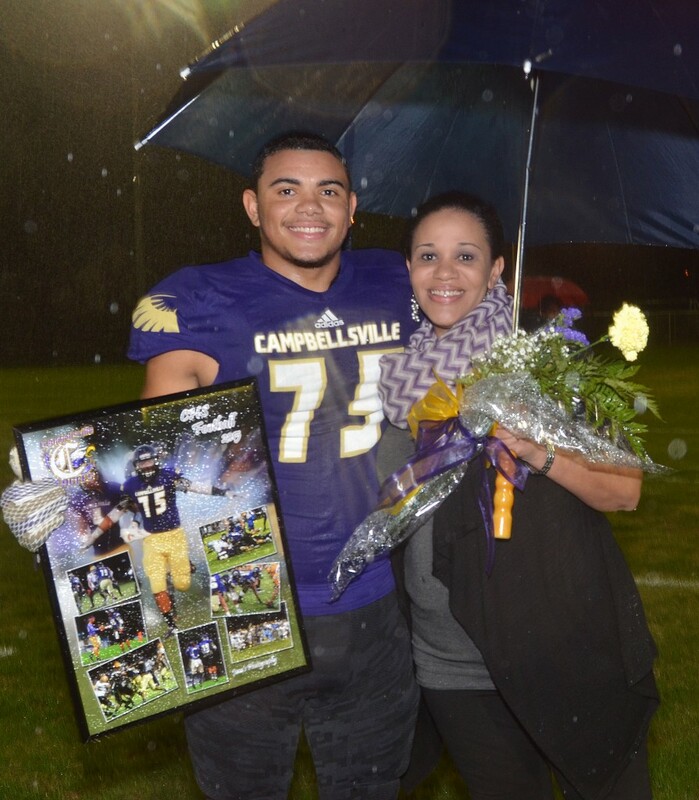 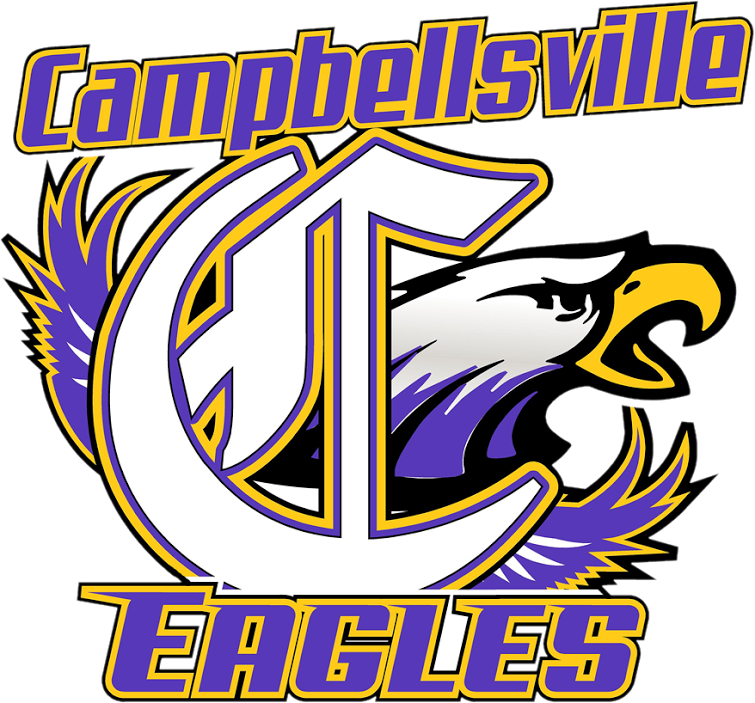 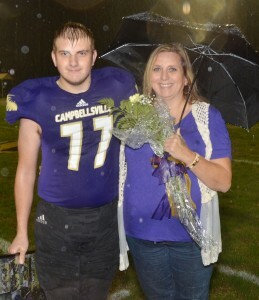 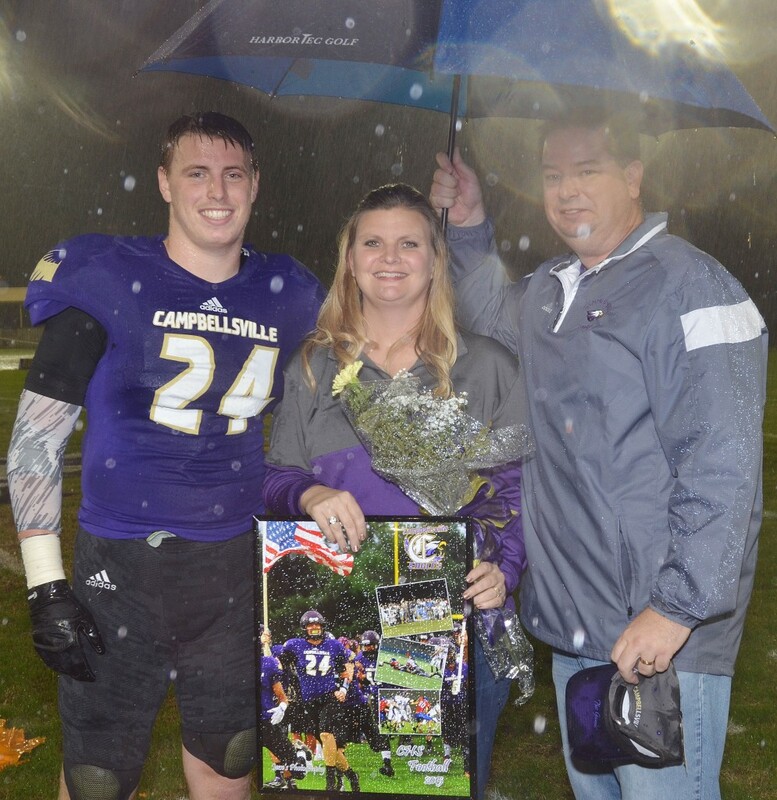 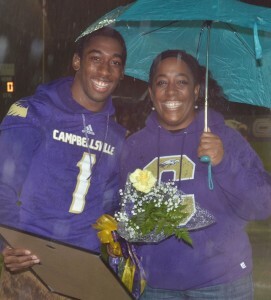 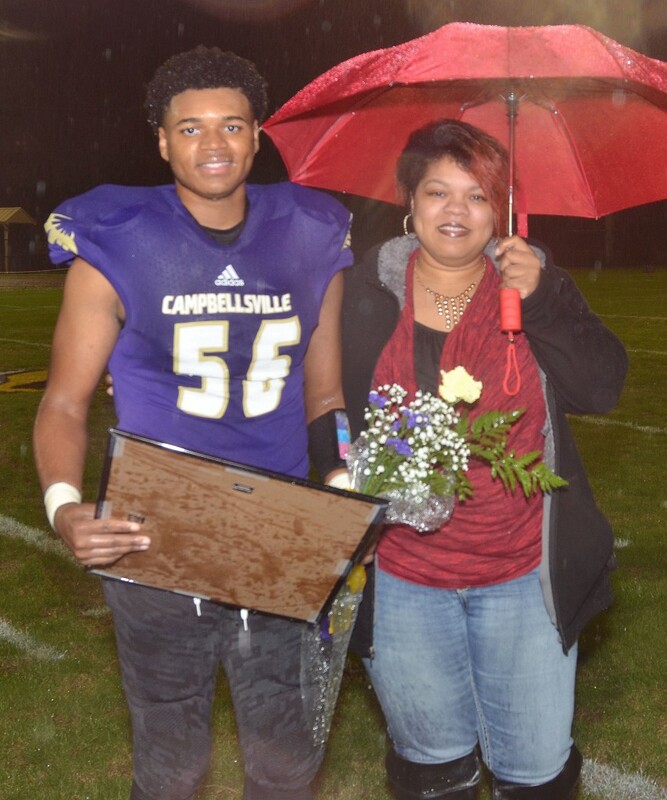 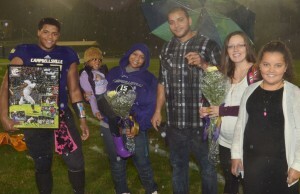 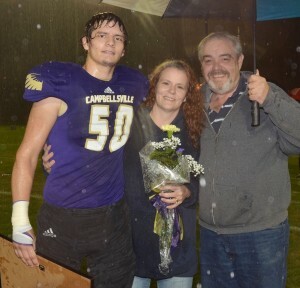 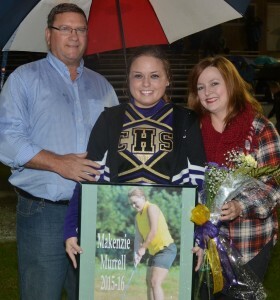 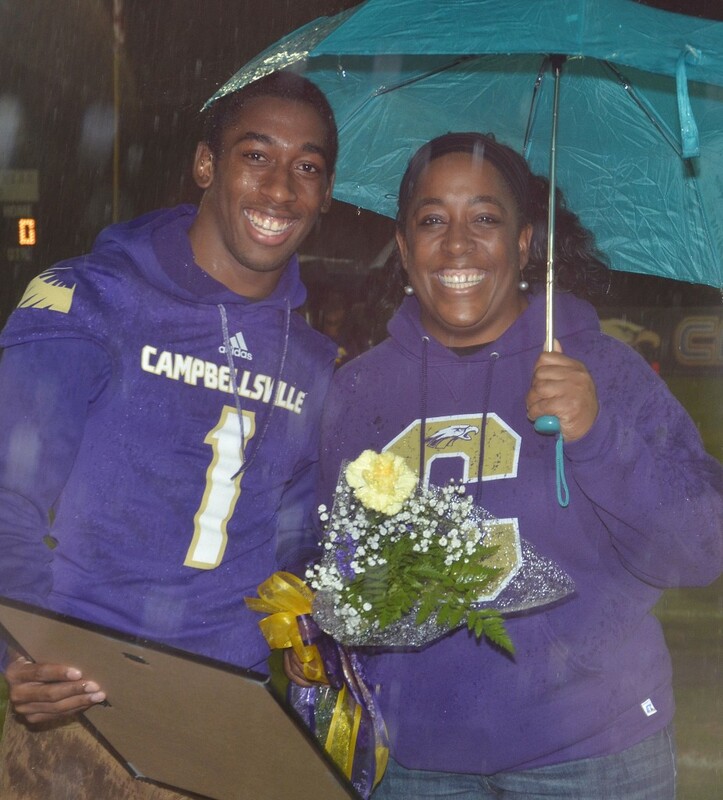 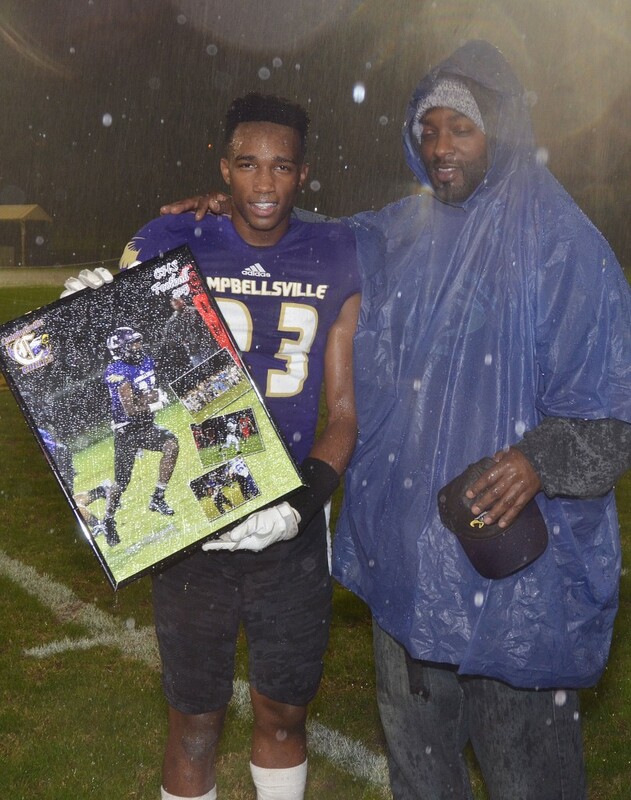 Campbellsville High School senior athletes were honored on Friday, Nov. 6, before the CHS vs. Fulton City High School football game. 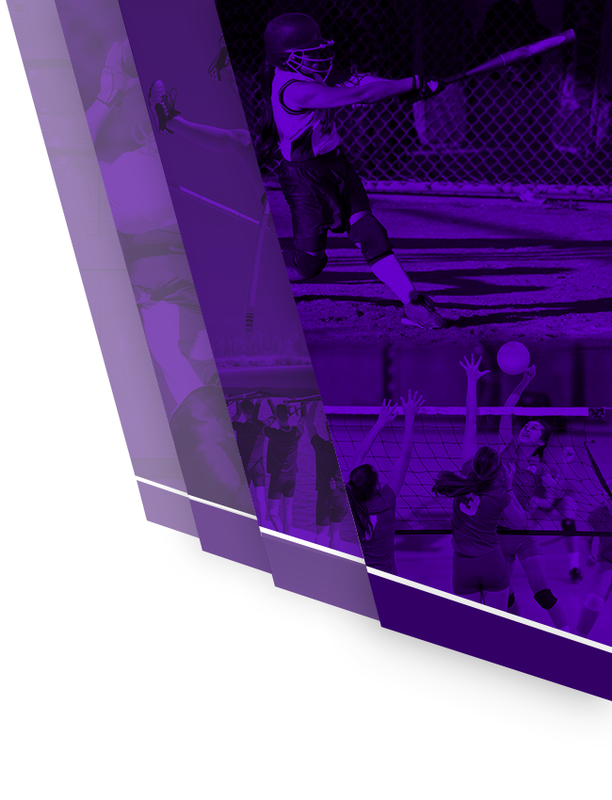 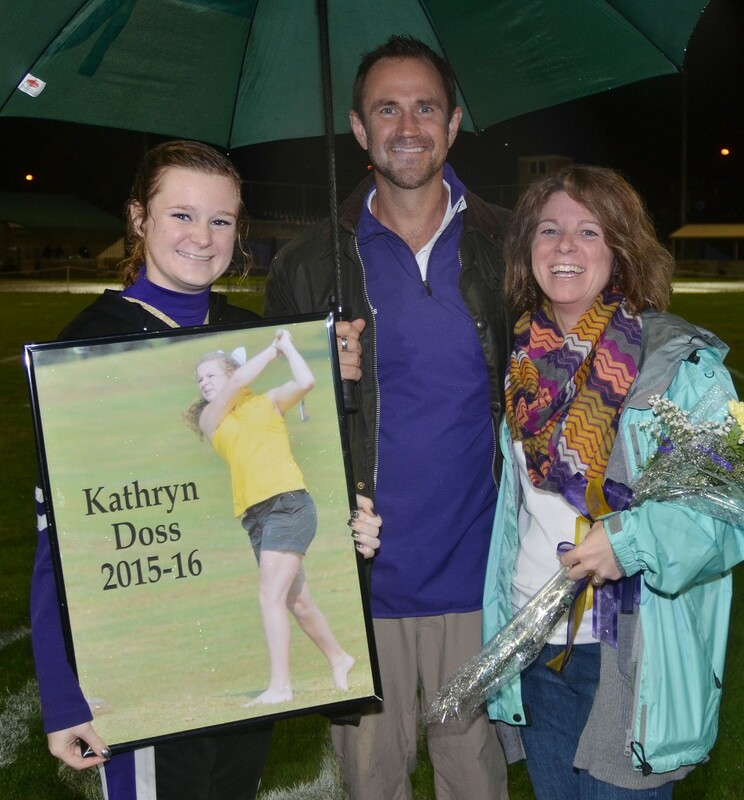 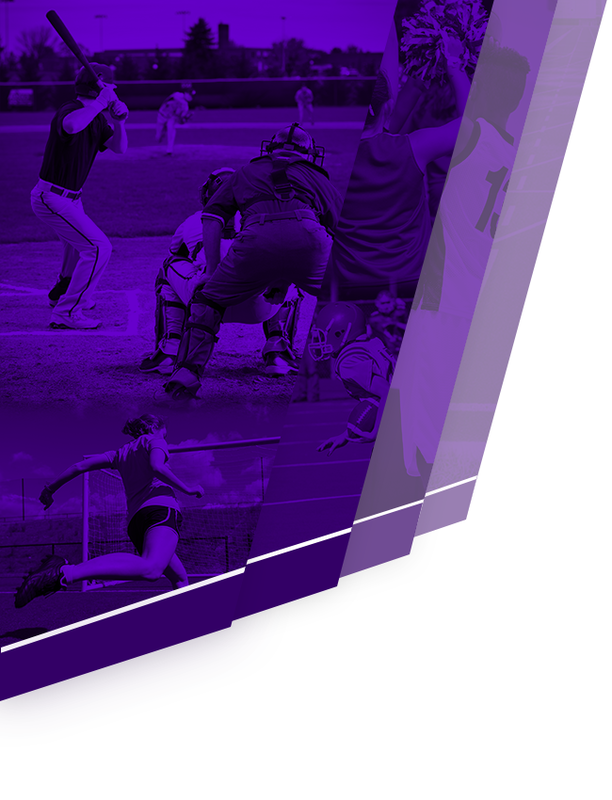 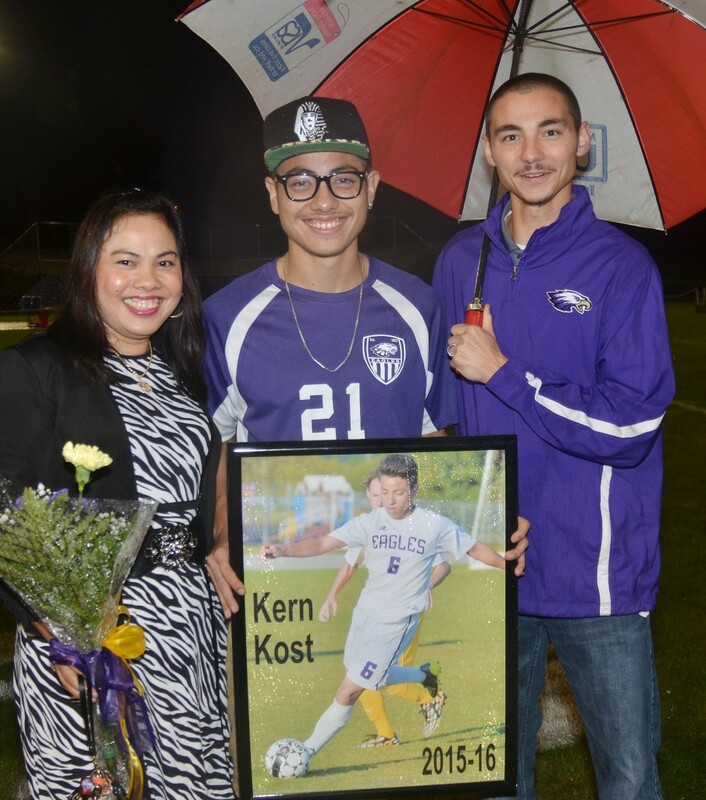 Seniors who play fall sports, including football, soccer, cross country and golf were recognized. 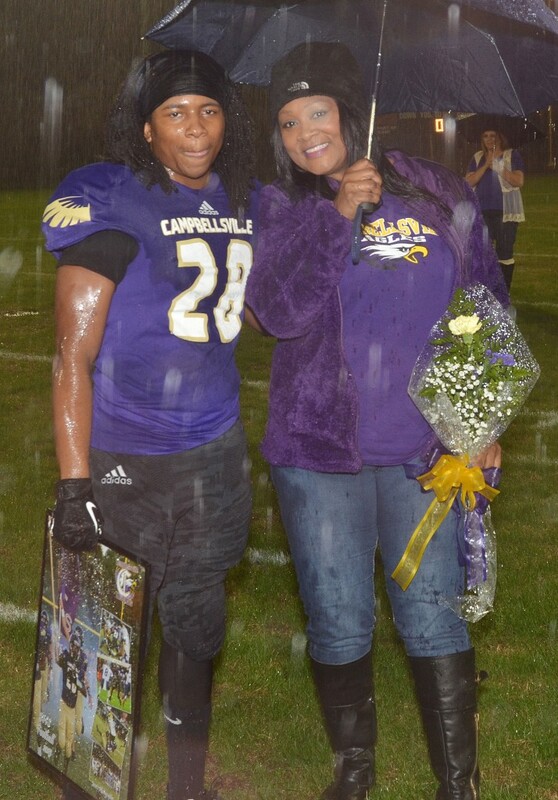 There are 13 seniors on the CHS football team, including players Kendon Young, Clayton Russell, Austin Belt, Alex Bailey, Deston Ford, Tavon Hunter, Austin Hash, Drakkar Richardson, Justin Stewart, Deaven Meece, Daejoun Smith and Taz McColley and manager Heather Bailey. 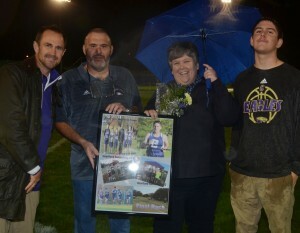 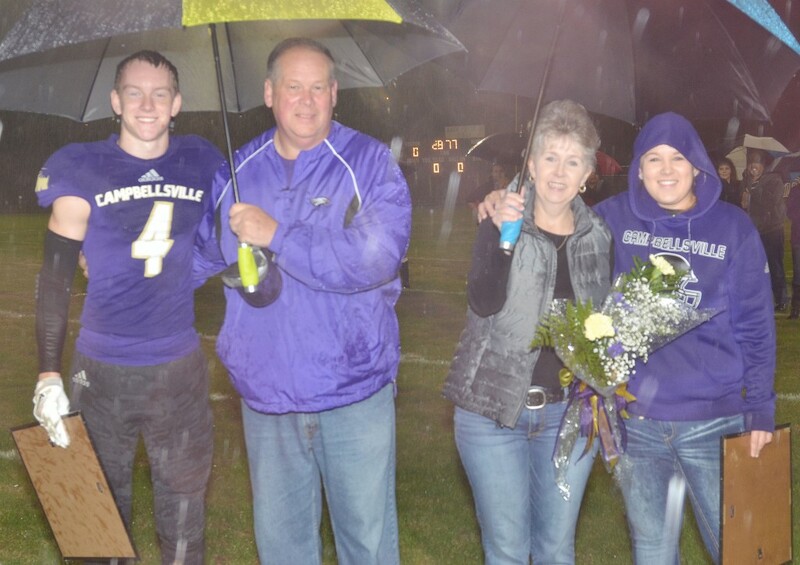 Other seniors recognized on Friday night include cross country runner Jake Despain, golf players and cheerleaders MaKenzie Murrell and Kathryn Doss, CHS Marching Band member Austin Belt and soccer player Kern Kost. 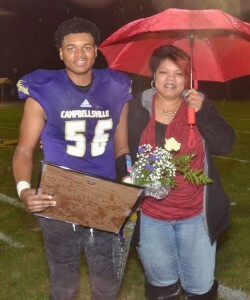 Kalup Cowan is also a senior band member.